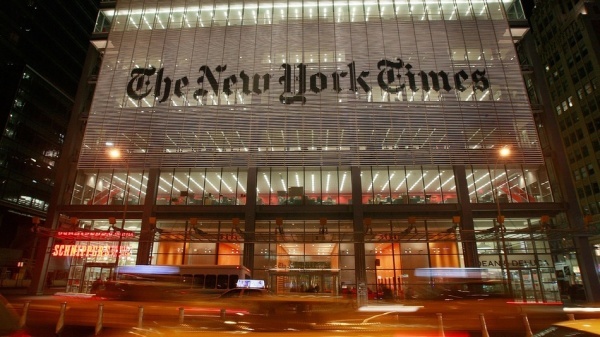 Native Ads and the New York Times: End of Publishing as We Know It? Last week, the New York Times rolled out a sleek new website design, which included the publication’s first ever native ad. The debut made headlines throughout the industry and many were abuzz about what this means for the publishing industry, both good and bad. Native advertising allows brands to engage with consumers by delivering content where they are actively looking and engaged. From the chatter surrounding the New York Time’s roll out of native ads, you’d think this was a brand new phenomenon. The idea of native advertising has been around for some time, but the fact that one of the most respected publications implemented native ads signals a shift in the industry that will only continue to grow. As with any trend, there are pros and cons to native advertising. We asked a few experts to weigh in on whether the New York Times foray into native advertising was a good or bad thing for the future of online publishing. Content expert Joe Pulizzi said that the New York Times push to native advertising (and the growth of the medium overall) is both good and bad. The New York Times push to native advertising is a continuing rush to the medium by publishers, which will only continue to grow in 2014, Pulizzi stated. As more publishers implement native advertising, we will have the opportunity to witness great case studies and come to a better understanding of what works. On the flip side, we will also see some massive failures. According to Pulizzi, the biggest issue is that we need to see brand content take a step up if native advertising as a whole will work. “Having space is one thing, but if you don’t have the content it just won’t work,” Pulizzi said. Respected online marketing thought leader, Lee Odden, believes that the New York Times is simply following a monetization trend that publications like Forbes have clearly proven out. The news and media industry are starved for revenue and native advertising represents an all new opportunity, which indicates that this trend will only continue to grow. However, Odden was quick to point out that the revenue opportunity native advertising presents will create some blurred lines. If a reputable publication like the New York Times is now willing to take money to publish quality advertorials, how much would it take for them to publish content that doesn’t meet editorial standards, Odden questioned? He went on and asked, what happens when a substantial portion of a publication becomes native ads? “Publishers must strive to deliver on quality and experience of consumers in order for native advertising to be effective and worthwhile,” stated Odden. John Miller, a former reporter and founder of content marketing agency Scribewise, believes that the New York Times jump into native advertising legitimizes the medium. He said more revenue is good, especially for the struggling publishing industry, and thinks the Times will execute native advertising well. Miller warned that the Times must be extremely careful with content they accept as native ads. “Others have shown us the downside of unclear labeling and content that is too salesy,” said Miller. He emphasized that transparency is key, in order for the Times to achieve native advertising success. One thing is for certain, Native Ads are here to stay. It will be interesting to watch the progression as more notable publications incorporate them into their revenue models.